We are a popular organization of this domain engrossed in manufacturing, supplying and exporting a wide range of Welding Electrode Machines. Offered products are highly appreciated in our customer for their accurate results and longer life. We are among the market leaders indulged in manufacturing, supplying & exporting of a comprehensive range of Welding Electrode Machines. 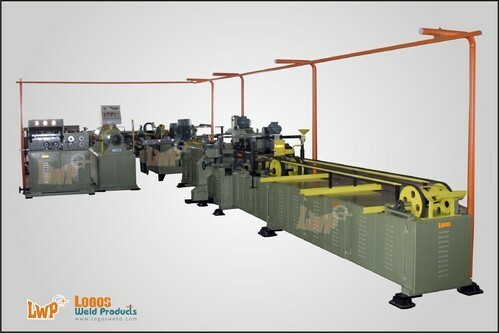 The range we offer is Welding Electrode Machine, Wire Straightening Machine and De coating machine widely acclaimed for its precision design, high performance, optimum quality and low maintenance cost. These products are widely used across several industries for a varied range of applications.